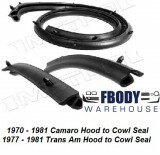 For use on 1970-1981 Camaro Firebird Trans Am. rear hood adjust bumper for all 70 - 81 models. Mount on each side of your cowl panel. Two required per car and now sold in a PAIR! New tooling ensures a proper fit with exact details for an original look. 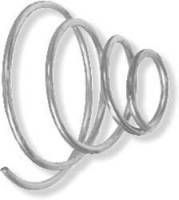 Made with a new high grade rubber compound to last for years to come. For use on 1967-1981 Camaro Firebird Trans Am. 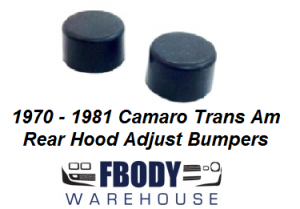 Rear hood adjust bumpers for all 67 - 81 models. Units mount on each side of your cowl panel. Two required per car and sold as a pair. Made with a new high grade rubber compound to last for years to come. 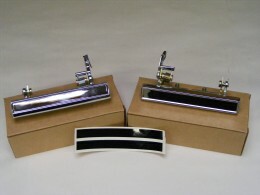 Replace your missing or broken bumpers today! Use the drop down menu below to select ship to location.